On our last Motoring Monday of the year, we’re gonna count down the list of our Top 10 Most Watched Videos of 2015. I’m pretty excited about them actually because these are the videos you voted for, and the ones that quite frankly paid the bills throughout the year. So yeah they make me happy. Starting with the 10th most watched video of the year, my test drive of the 2015 Volkswagen Golf TDI and the all-in preach about how great diesel cars are. This is of course well before the TDI scandal known as “dieselgate” broke. Yeah if I had known what I fool I’d look like just months later, I might have dialed back all the love for the Volkswagen Golf TDI. I might not have made the test drive into a raving lunatic testimonial on all the virtues of diesel cars in general. The test drive got pretty good views before dieselgate broke, but exploded and went viral after with plenty of you giving me a pretty good slap. In the end I report what I know and experience at the time. Sometimes the facts on the ground change and you can’t always walk it back. The 9th most watched video of 2015 was also a diesel test drive, but not a disgraced one. The GMC Sierra 2500HD Duramax pickup we drove was put through my regular battery of on and off-road testing to which it performed reasonably well earning decent marks. And it should as I’m obviously a diesel nut. The test of the 2015 Subaru Outback 3.6 R Limited came in at 8th place, well studied by car buyers and Subaru fans alike. And like the heat I got over the Volkswagen TDI for gushing about how great it was, I heard from a lot of you Subaru people about some of my complaints on the Outback. I dared to say I didn’t appreciate that its annoying, parental, and overly enthusiastic Eyesight lane departure minder defaults to on every single time you turn on the car. If you don’t want to be scared half to death every time you change lanes without the turn signal, you have to turn it off every time you drive the car. And boy did you Subaru people come out and clobber me for being such a dunce. You we’re aghast that someone could possibly complain about a safety feature. Never mind I praised it for how well it worked as well as my glowing review on the rest of the car. I just wished it has an off switch. The good part is that I learned if you don’t want annoying, parental, and overly enthusiastic Subaru owners on your back, don’t speak your opinions unless they’re positive and smell pretty every time you offer them. The 7th most watched video of 2015 was our quick story on the redesigned 2016 Ford Explorer. The popular mid-size crossover from Ford is one of the top selling on the market, and you showed interest in its new Range Rover like design. Some of you hated it, some of you loved it, and a lot of you slammed Ford for copying the company…they once owned. Either way, Ford is crying all the way to the bank. Also stirring controversy this year was Lexus with their severely redesigned 2016 RX350 and RX450h luxury crossover. The video on its reveal making 6th on our list of most watched videos this year, many shared both the love and the hate for the aggressively styled RX. We recently test drove it and found that beauty is certainly more than skin deep as it has a sharper chassis than before, a good deal more horsepower, and better drivability from its new 8-speed transmission. And the interior, very nice. The 5th most watched and 4th most watched video of 2015 are a nicely book-ended pair of test drives, both of the 2015 Dodge Challenger. The first video is our drive in the 2015 Challenger R/T, and one of the last pieces we shot when I still wore my Stetson. The R/T Challenger won high marks from this Mustang guy because its new interior was well put together, its 5.7 liter HEMI just right, and its new 8-speed transmission the glue that made it all work well. That drive was followed with the SRT 392 version of the Challenger to which I pounded pretty aggressively into the asphalt. Well at least as aggressively as I could on public roads without getting sent to jail. It was a fun car that made the I’d Buy It list this year. And since I can’t get a Volkswagen TDI now, I just might. And just for those if you who miss the hat, and I know there are at least three or four because I hear from ya, here ya go just for old times. The 3rd most popular video of 2015 believe it or not, comes to our Top 10 list for the second time, as it was here for 2014 as well. I have to say I was honestly quite surprised it made the Top 10 list last year when it happened, and twice as surprised this year. I mean, a luxury crossover from Volvo gets this much attention? Really? Indeed your interest in it has also shown up at the Volvo dealer where they can’t keep them in stock. I guess we all really do like a comeback story. And speaking of comebacks, the 2017 Ford F-Series Super Duty pickups were unveiled last fall at the Texas State Fair. Our quickly put together first look video on it took off in a very viral way in just months to our 2nd most watched video of the year. I expected the truck to get good attention, and you gave it just that. And trucks always bring a lot of opinion both good and bad. Some of you hate the new brick wall look of its front end, and many of you say you can’t wait to buy one. Others, well you’re waiting for the Bronco to come back. Just give it time. Just give it time. And speaking of time, that is exactly what you you gave our number-one most watched video of 2015. And, it’s a video that was also on our Top 10 list for 2014. And what else could it be but the 2015 Shelby GT350. 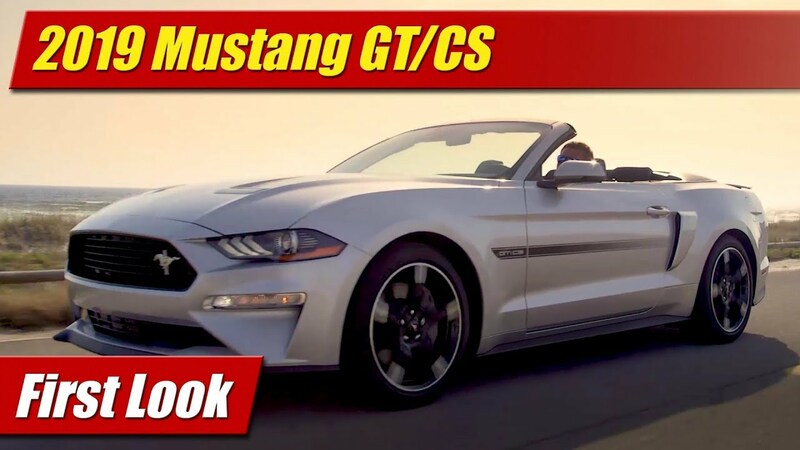 Opening with our first sight and sound of the hot new Shelby GT350 on the track, the video took off like a rocket in the ratings the moment it was posted. It made it to number three in just a month of 2014, and a year later now to number-one of our entire catalog of 650+ videos. The new Shelby GT350 is now on sale, getting all the money at dealerships with huge add-on stickers as expected. And why not, it is genuinely a special car with its 500-plus horsepower naturally aspirated 5.2 liter flat-plane crankshaft V8. And even if it were a pile, the sound is worth the price alone most would agree. The new Shelby GT350 might be “Id Buy It” list material but sadly I haven’t had the chance to actually drive one yet. They haven’t yet been passed around to everyone in the media and my turn hasn’t come up yet. After all, we’re still considered small time here at TestDrivenTV by some. And compared to many channels out there, we honestly still are. But we’re young. Those of you watching have given us a great second full year in this crazy business and I am so very grateful for each and every one of you who watch. Even the Subaru people who chew on me for bitching about their cars. In that way we reached 20,000 subscribers just in time for Christmas last week, and for that I thank you. If you’d like the join the fun and mayhem, click on the link right here and subscribe yourself. We test dive on average two cars every week, and have a new video almost every single day. There’s always something new. So stay tuned!